(VEN) - 10. E-customs a. Despite the implementation of e-customs, the number of papers to be signed and sealed remains numerous. When applying e-customs procedures and digital signatures, customs authorities should take off a step on signing and sealing on declarations. The customs should synchronously apply e-customs declarations such as adding documents or confirming clearance through the internet. (VEN) - State Bank of Vietnam Governor Nguyen Van Binh said that the exchange rate between the Vietnamese dong and US dollar will be kept stable and increased, if necessary, but by no more than two percent. He added that there will be credit programs for specific fields and subjects. (VEN) - The Sai Gon-Hanoi Commercial Joint Stock Bank (SHB) said that the Global Banking and Finance Review recently named it the Vietnamese Fastest Growing Trade Finance Bank and the Vietnamese Most Creative Trade Finance Bank in 2014. SHB has been the only Vietnamese commercial bank to receive these awards so far. (VEN) - Documents and administrative procedures remain cumbersome, causing difficulties for companies. In some cases of facing to difficulties such as small capital, unsold goods and incomplete tax report, representatives are likely to be suspended their legal status. If taxpayers continue doing production and business activities, they must complete tax obligations. 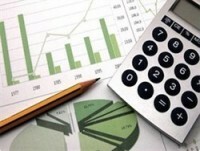 (VEN) - The government has implemented overall measures based on Decision 780 on dealing with bad debts and introduced the Vietnam Asset Management Company (VAMC) in order to execute the mission. (VEN) - The Asian Development Bank (ADB) announced its Asia Bond Monitor on June 4 saying that the Vietnamese bond market grew the fastest among emerging economies in East Asia. (VEN) - The State Bank of Vietnam, the Ministry of Agriculture and Rural Development and the Ministry of Science and Technology are considering cooperation on a pilot program for financing a connectivity model between businesses and farmers in order to multiply the model and promote high technology application in agricultural production and farm produce exports. (VEN) - The latest statistics announced by the State Bank of Vietnam (SBV) at the Vietnam Banking Conference and Expo (Banking Vietnam 2014) showed that by the end of March 2014, Vietnam had more than 15,500 automated teller machines (ATMs), over 137,700 points of sale/electronic draft capture (POS/EDC), and 68.5 million cards had been issued. 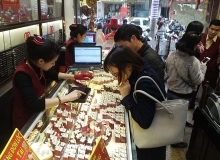 The non-cash payment market in Vietnam is booming. 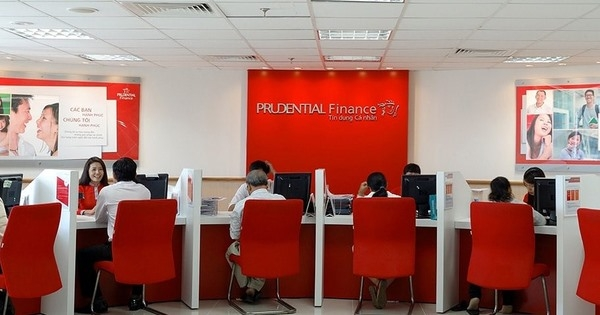 (VEN) - The Prudential Vietnam Finance Company Ltd., (Prudential Finance) recently welcomed its 200,000th unique customer, Pham Van Luc, 53 years old, currently living and working in Ho Chi Minh City. (VEN) - Deputy Minister of Planning and Investment Nguyen Van Trung and French Development Agency (AFD) Vietnam Director RÐmi Genevey signed a Memorandum of Understanding on grant agreement on May 22 in Hanoi.